You may be missing out on these 10 new LinkedIn features. These are particularly helpful if you are actively job searching but even if you aren’t, they are worth knowing about! 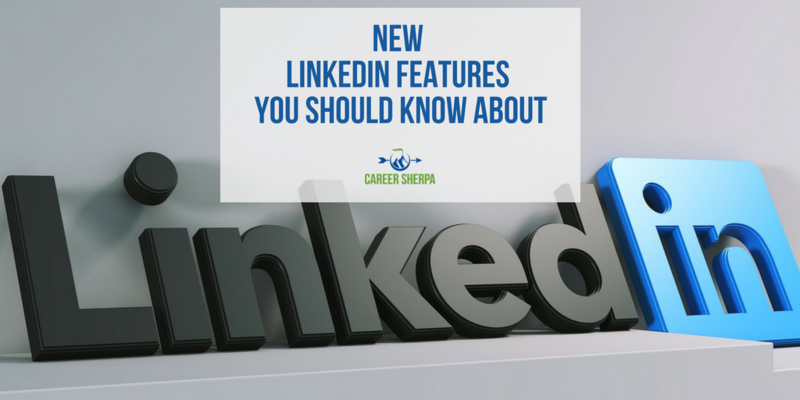 If you are like most LinkedIn users, you just don’t log in to the platform often enough to be able to figure out the newest changes so I wanted to bring some of them to your attention. Many of the advancements are accessible from the LinkedIn mobile app, so please, pull out your mobile device and begin experimenting with some of the functions listed below. And if you don’t have the LinkedIn app on your device yet, maybe some of these new functions will entice you. At your next networking event or group gathering, try turning on the Find Nearby function to discover other LinkedIn users in attendance. Here’s what to do. Click on your My Network icon and you will see the find nearby status at the top of the screen. You’ll need to turn on your mobile’s Bluetooth function to see who is nearby, however, it will only discover profiles of people who are about 100 feet or so around you and who have activated the Find Nearby function. If this works, you should be able to see other attendees who have turned on this feature! They would be great people to network with. Go find them and in your introduction, mention how you found them! 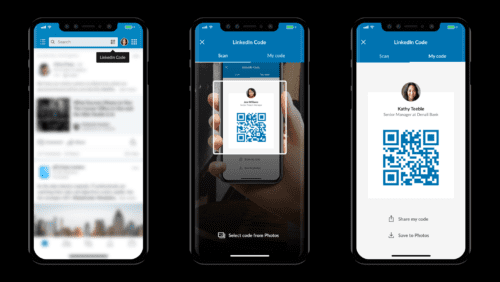 Another way to easily connect with people while at a conference or networking event is to use your LinkedIn QR (quick response) code. It looks a bit like a barcode you’d find on a product in a store. Just show your QR code to someone and they can scan it from their LinkedIn mobile app. It will open up your LinkedIn profile on their phone. From here, they can invite you to connect. To access your QR code or to scan someone’s QR code, just click on the icon in the search bar and you will see options to scan or share QR codes. You can even download a photo of your code and keep that open on your phone instead. Want to try other ways to share your QR code to help people easily access your LinkedIn profile? Embed it in an email or add it to your business card. So the next time you want to recognize someone for being a great teammate or mentor, open up the LinkedIn app from your mobile device and open the person’s profile you want to thank. Click on the three dots and select your kudos card. You can also give kudos to multiple people! Once you’ve selected the appropriate kudos, it will appear as a publically viewable status update on your profile and will tag the recipient so they see it. Keep in mind, you can only give kudos to people you are connected with and you can give up to three kudos per week. So if you aren’t ready to endorse a skill or write a recommendation on LinkedIn, give someone kudos! To benefit from this newest feature, all your profile needs to have are multiple jobs listed with one company. LinkedIn will take care of the rest by streamlining how multiple jobs appear on your profile. LinkedIn will display your roles without listing the company logo for each job. This makes it clearer to someone looking at your experience that you were with one company and held multiple jobs. If you haven’t listed multiple jobs with one employer, you may want to edit your profile now. Just make sure you have selected the correct and official company page when entering your experience. The new display takes up less space and makes it clear that you were progressing within the organization. If you struggle to write your resume, you aren’t alone. That’s one reason Microsoft developed their “Resume Assistant.” And now that Microsoft owns LinkedIn, they have access to hundreds of thousands of resumes via LinkedIn. Sometimes you just need to borrow ideas from others and with Microsoft’s resume builder, you can see examples from real LinkedIn profiles of people who do what you do. 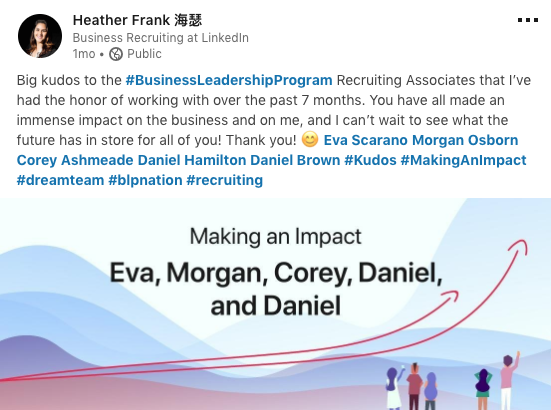 If this makes you worry (and it should) that someone may plagiarize what you’ve written in your LinkedIn profile, you can turn off the ability for Microsoft to use your profile information. Just go to your LinkedIn privacy settings. Following companies on LinkedIn will allow you to see any updates the company makes in your LinkedIn home feed. But now, there’s another reason to follow companies – get notifications when the company posts jobs. When you follow a company, you will see a prompt to turn on job alerts to be notified when the company posts new jobs so you can be one of the first to apply. You can evaluate the commute time for jobs you are interested in. When you find the job you are interested in on LinkedIn’s mobile app, you’ll soon see the “see your commute” section. Enter your home address and your method of transportation and it will calculate your approximate commute time. There are many factors that go into evaluating a job opportunity and commuting time is an important one. Being able to evaluate this, without leaving the job posting, makes it simple to eliminate jobs that don’t meet your commuting criteria. How Well Do You Match? LinkedIn job postings now include a feature called “how you match.” This allows you to you see just how well you match a job posted on LinkedIn. When you click on a job posting, LinkedIn shows if your education level, skills, years of experience, and current job title match with what a company is looking for in a potential new hire based on criteria the company shared when posting a job on LinkedIn. One biggest complaints recruiters have about candidates is that they are not qualified for the jobs they apply for. You can save yourself and the recruiter time by applying only to the jobs you are best qualified for. Referred candidates are highly sought after. In fact, being a referred candidate will increase your chances of landing an interview. LinkedIn says referred candidates are 4X more likely to hear back from a recruiter. LinkedIn makes finding someone who knows you easy. You can filter LinkedIn jobs using “LinkedIn features” and select the ones that are “in your network.” This shows you the jobs where you have a connection. Once you find a job you are interested in, click on the “ask for referral” link and LinkedIn will help craft a message. 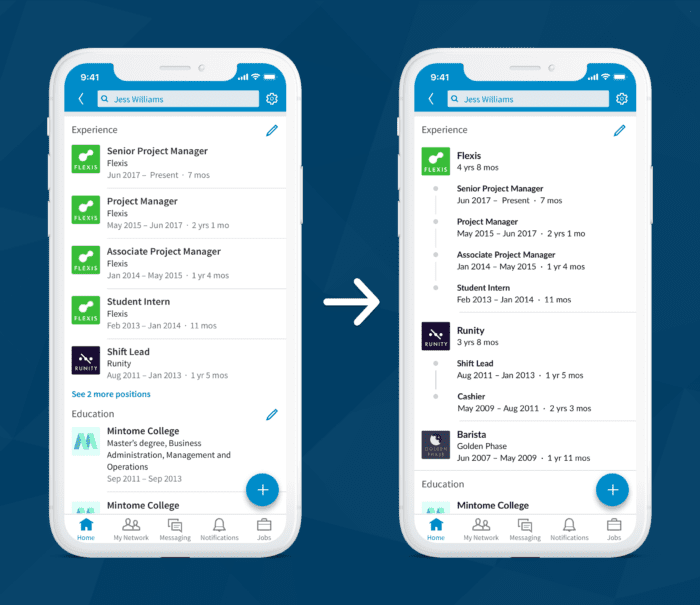 The message asks your connection to refer your profile to the hiring manager or recruiter and includes a link to the job, but always personalize your message as much as possible to help your connection remember you and why you’re qualified. If you are currently employed or a college student looking for an internship or job after graduation, there’s a way for you to let recruiters know what type of job you are searching. It’s called “Open Candidate.” The good news is that recruiters who work for your current company cannot see this information, which means you won’t jeopardize your job. To turn on the open to new opportunities and refine your settings, go to the “Jobs” tab and you’ll find the “career interests” setting with a blue pen next to it. If you are using the mobile app, you will find career interests on your profile’s dashboard. Here you can indicate the job titles you are interested in, the cities you are open to, and the type of work, such as an internship or full-time job, and when you would be ready to start a new job. This is one more way you can help let recruiters know you are in the market for a job.